This is my first time using P5 and also first time using code to draw. It was fun and slightly frustrated at the same time. 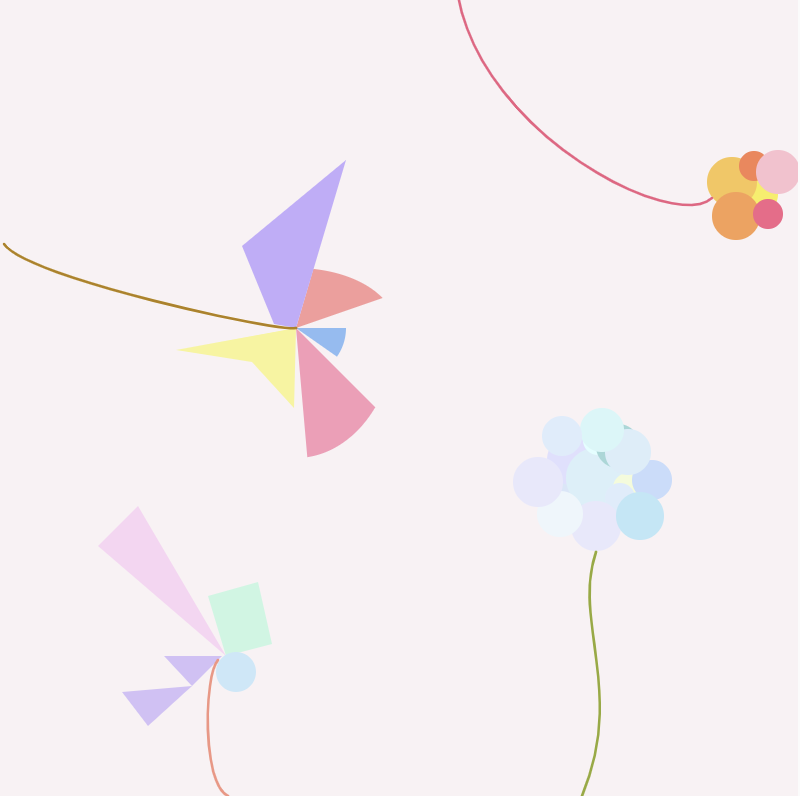 I thought of drawing flowers with geometric shapes, so the drawing developed as I explored various combinations. Yes, it felt slightly tedious to locate every coordinates and value, but it was interesting to draw so precisely in a way. An ITP friend, Chengchao Zhu, saw me struggle with the coordinates, and offered a suggestion to track mouse location and print coordinates in the console. That saved me a lot of time of adjusting little details. 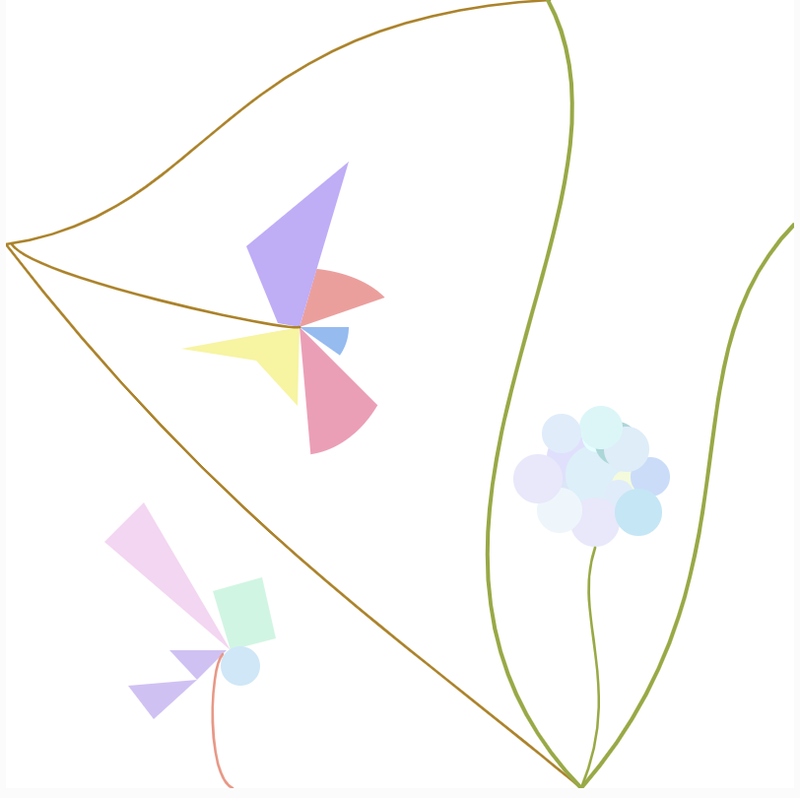 When I drew the stem of flowers, which were curves, I struggled with quadraticVertex() and bezier curve. After I saw more examples and did more practice, the curves started to follow how I wanted them to go. I’m still exploring what computation can do and how to apply it to my work, but it seems like there are many interesting possibilities. I like how computation gives me a new way to approach visuals, and I am interested in using computation to create projection for installation and performance arts. 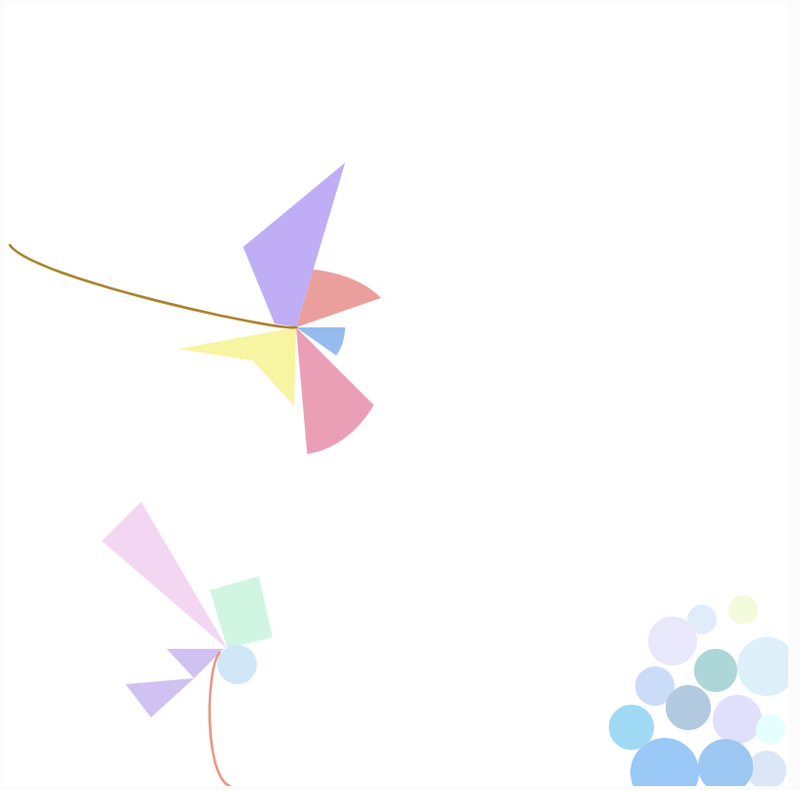 I want to keep explore how I can play with computation to make art and design. Right now, I still feel pretty vague about what computation means to me. I just want to keep being curious and make some playful works with computation.